A stylishly gloomy crime drama, King Of New York layers on the artsy violence but leaves behind any reason to care about its principal characters. Crime lord Frank White (Christopher Walken) is released from prison and immediately heads back to New York to regain control of his empire. 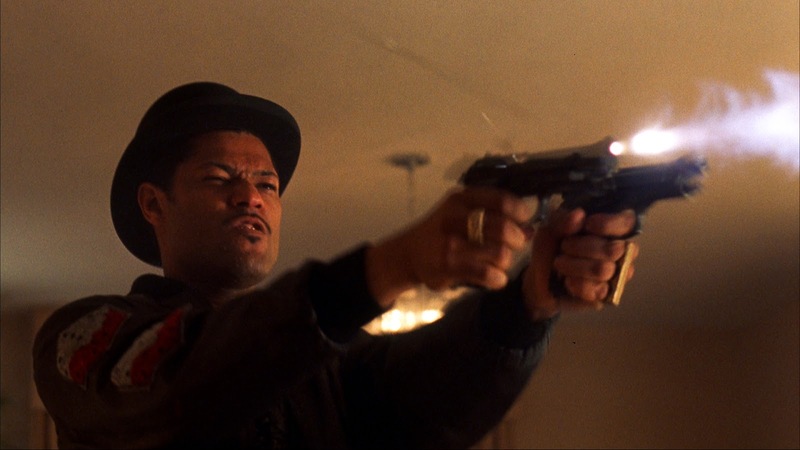 His gang members, led by Jimmy Jump (Laurence Fishburne), pave the way for Frank's return by killing rival gang leaders El Zapa and King Tito, the former in a phone booth outside a high class brothel, the latter in a hotel room. Frank then applies pressure on Mafia boss Arty Clay and Triad leader Larry Wong, demanding a cut of their business. Clay refuses to cooperate, and Wong attempts to negotiate. Both pay a heavy price for failing to comply with Frank's wishes.With Frank's lawyer Jennifer (Janet Julian) keeping him and his men beyond the reach of the courts, police detectives Bishop (Victor Argo), Gilley (David Caruso) and Flanigan (Wesley Snipes) grow increasingly frustrated. Gilley advocates going outside the law to deal with Frank, adding fuel to the wave of violence sweeping across the city. 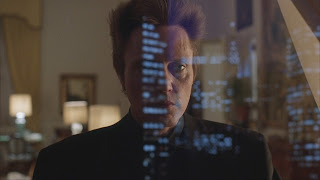 An independent production directed by Abel Ferrara with an emphasis on wild action set-pieces, King Of New York packs plenty of intense shoot-outs, chases, and general scenes of carnage and violence into a relatively short 106 minutes of running time. This is a film that transforms New York into a war zone where hundreds of bullet rounds are sprayed around on a nightly basis, as gangsters kill each other with savagery driven by hatred and the imperative need to control the drug trade. Ferrara delivers all the brutality with an eye on moody and stylish packaging, the action often happening at night, the gangsters largely emotionless as they kill to the beat of rap music and under the toxic influence of drugs, with random gyrating women always within reach. It's all wildly entertaining but also not even remotely realistic, and as an exercise in sleek crime depiction King Of New York is hampered by an almost complete absence of character introduction or development. Frank White remains an almost robotic blank slate, save for one quite unconvincing late speech about his criminality being less criminal than his rivals. A half-baked sub-plot about Frank channeling funds to an inner-city hospital project holds promise but is underdeveloped. The secondary characters fare worse, and next to nothing is known about all the other crime bosses and the three police detectives. But Laurence (billed as Larry) Fishburne does get to let loose in a pretty insane depiction of the trigger-happy Jimmy Jump, a man so far gone on the culture of drugs and violence that he is actually enjoying the madness that comes with hurtling towards oblivion. King Of New York dances to the beat of anarchic artistry, but beyond all the bloodshed the king has few other clothes on.